When Adele returns to the Grammys next year, she has a chance to win big all over again. But, unlike in 2012 when Adele totally dominated the Grammys with 21, she'll have a few less opportunities to take home a gramophone. How many nominations did Adele get for the 2017 Grammys? The singer earned five nominations in total, but they are in some of the night's biggest categories, meaning the 59th annual Grammy Awards is already gearing up to be a battle between Adele and 2017's biggest nominee Beyoncé. Nearly five years ago, Adele went home with six trophies, totally sweeping the categories she was nominated in, including Album of the Year. She's once again up for that prize with 25, going up against Beyoncé's Lemonade, Drake's Views, Justin Bieber's Purpose, and Sturgill Simpson's A Sailor's Guide To Earth. If Adele does manage to win this one, she'll only be the second female artist to win the award show's most prestigious prize for a second time. Taylor Swift's win for Album of the Year in 2016 for 1989 made her the first female artist to achieve this, shattering a glass ceiling that definitely needed to be shattered. In 2017, Adele actually has a chance to repeat her wins in every category she's nominated. For instance, Adele's "Hello" is nominated for Record of the Year and Song of the Year, both are prizes she won in 2012 for "Rolling In The Deep." 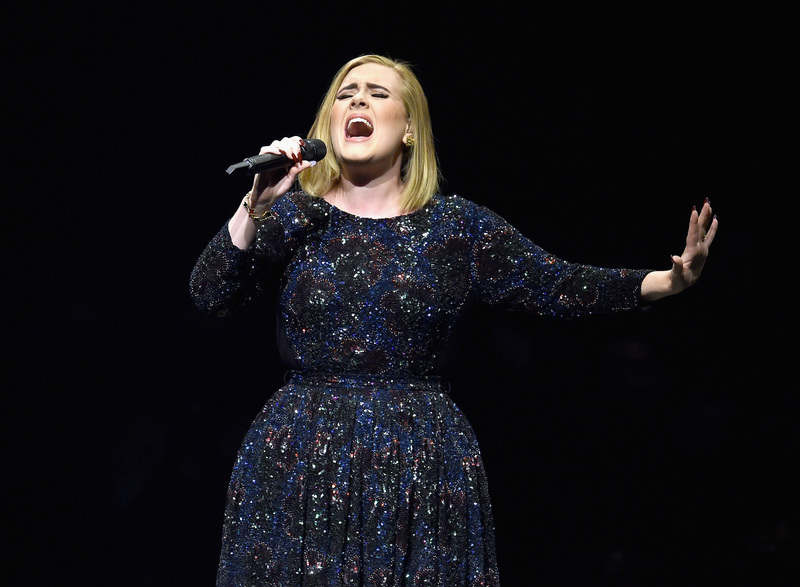 Adele's "Hello" is also nominated for Best Pop Solo Performance, which she took home in 2013 for her live version of "Set Fire To The Rain" off Live at the Royal Albert Hall. 25 is up for Best Pop Vocal Album, which she previously won for 21 five years ago. Since taking home Best New Artist in 2009 for her debut album, 19, Adele's been a consistent Grammy winner. Overall, she's won 10 awards out of 18 nominations in just seven years. In her last three Grammy attempts, she's actually swept the categories she's nominated in. Can she do the same in 2017? It's definitely not impossible, but certainly isn't going to be easy. Especially with Beyoncé's Lemonade going in as a favorite for Album of the Year, which would be her first. Right now, Adele and Beyoncé are tied for the record of most Grammy wins in one night, with six awards each. Adele pulled this feat off in 2012, two years after Beyoncé did the same thing with her album, I Am... Sasha Fierce. With her nine nominations, Beyoncé has a chance to break this record in 2017. Honestly, I don't think Adele would mind one bit, since she loves Queen Bey as much as her son. Either way though, the upcoming Grammys is going to be one to watch — and from the looks of it, one dominated by women.